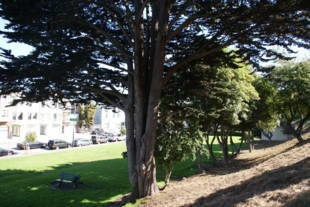 This square-shaped, tree-lined park is located in one of the densest areas of the city: within the Financial District and just steps away from both North Beach and Chinatown. 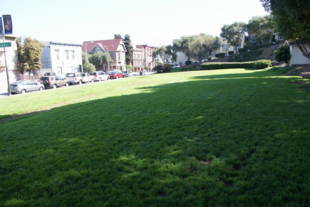 It consists of two large lawn area and several smaller grass areas. 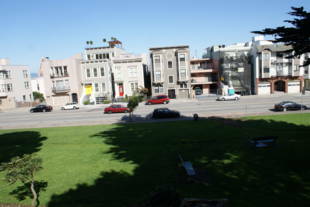 Near its center is the bronze sculpture-fountain, the "Fountain of Four Seasons," by French sculptor Francois Stahly. Sidney Walton Park is privately owned. 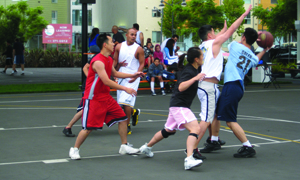 19-Polk -- Francisco St. and Polk St.; walk north to Bay St. and east to Hyde St. and the park. 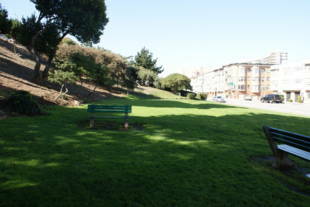 30-Stockton or 47-Van Ness -- North Point St. and Hyde St.; walk south one block (it's a bit uphill) to Bay St. and the park. Powell-Hyde Cable Car - Hyde St. and Bay St.
Jackson St. & Davis St.